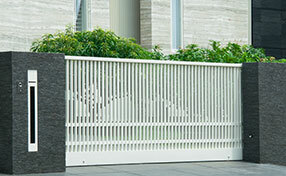 Are you on the search for a good and reliable company that can deal with all sorts of fences and gates needs? If so, then you can stop your search. 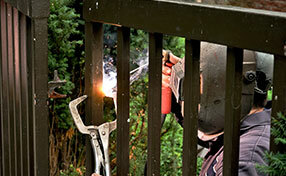 Our driveway gate company in Oceanside should be the company that you are interested in. We are a highly reliable and dependable company specializing in the field of this business for a very long time. A community by the name of Oceanside is located in San Diego County in the state of California. It is an extremely beautiful city with lakes and sea views. Around 180,000 residents call this place their home. The exact dates when this community was discovered is not known but it is at least as old as 1769 when the European explorers discovered it. Whenever you are trying to find a reliable company for your gates and fences needs, you want a company that is highly dependable and result oriented. Our driveway gate company in Oceanside is the one you are looking for! Our company specializes in doing everything from repair gates to supplying and installing all types of gate openers / motors. 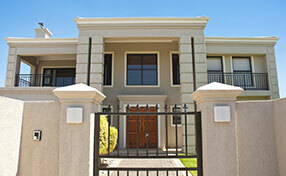 An intercom is becoming a popular option when owners upgrade during a residential gate installation. It offers more privacy than the standard options, and it’s a safer choice as well. Though it can be inconvenient to have to let everyone in by yourself, the upsides are worth the downsides. Here’s what you need to know about intercoms. Video intercoms and audio intercoms give you security by letting you know exactly who’s at your door. Videocoms are less obvious and not as much of an eyesore as a regular video camera, so they can be a great option for intercom installation. If video isn’t needed (sometimes the expense doesn’t warrant it), an audio-only system can be used. There are two audio options – ‘press and call,’ and one that’s hooked to your phone system. There are several good brands, like DoorKing intercoms and Linear intercoms. The big thing to keep in mind is that it’s tough to balance security, privacy, convenience, and safety. An intercom is the safest option, because you always know who’s getting through your gate. On the other hand, you have to manually accept the entry of everyone coming through. That can be annoying for some people. A videocom system is also more secure than a voice-only one, because you can see exactly who’s coming in and not just rely on your ears. But those can be more expensive. It all goes down to what your needs really are. Where do you live? What’s your area like? Do you have 24/7 emergency service? Are you going to have frequent guests? If so, you might not want an intercom system, as the annoyance factor may be too large- having to buzz people in constantly is no fun.